Just Julie B's Stampin' Space: Memories in the Making Birthday Cards! It’s your best friend’s birthday, and you don’t have time to make a card. Don’t break down and run to the store to buy one! Here are 12 simple, cute, and quick birthday cards you can create in a snap with the Project Life Memories in the Making Bundle. 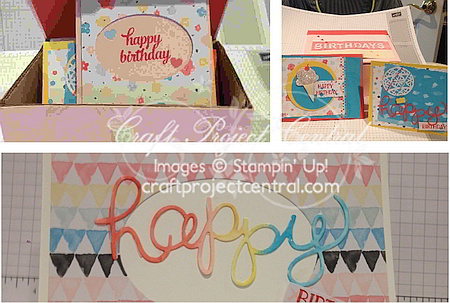 Using the Card Collection, Accessory Pack, and Photopolymer Stamp Set with a few other tools you probably have on hand, you’ll have a card for every month. You’ll also repurpose the packaging to make a box to hold your cards and envelopes. 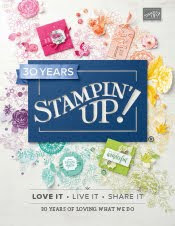 This project would make a wonderful gift or a fun stamp camp or class as well! This cute project was made by Buffy Cooper, and you can get her tutorial when you subscribe to the month of January over at Craft Project Central.